The WPH No Frills pro singles, junior singles pro-am doubles, and 120+ doubles was a tremendous success, as four of the R48’s top 11 pros competed in singles and pro-am doubles, Tucson’s top juniors competed in junior competition, and Tucson’s local handball community played in both the 120+ doubles and pro-am doubles in the first WPH event in 2015. Luis Moreno faced David Fink in the morning’s first pro singles semifinal, renewing the rivalry dominated by Moreno since the pair’s first encounter in 2009. Fink raced to a 7-1 lead in game one against a rusty Moreno, but Moreno regrouped, scoring 13 of the next 15 points to take a commanding 14-9 lead. Fink rallied, closing the deficit to 12-14, but a costly fly kill error handed Moreno the serve. Moreno closed out the first game with a back wall kill, 15-12. Moreno started quickly in game two, surging to a 6-2 lead. Fink tied the score at seven and never looked back, closing out the game on an 8-0 run to even the match at one game. Fink led 6-3 in the tiebreaker when he was forced to withdraw with back spasms, sending Moreno to the final. Sean Lenning challenged frequent sparring partner Abraham Montijo in the second semifinal. Hobbled by a balky back, Montijo was able to offer little resistance, falling 15-6, 15-1. Moreno and Lenning with play for the No Frills title on Tuesday in primetime. Luis Moreno teamed with Art Benitez for the second consecutive pro-am doubles event, with the duo aiming to collect their second pro-am title in as many starts, while Sean Lenning teamed with Steve Hambrick and aimed to dethrone the defending champions. Moreno and Benitez led 14-10 in the one game final to 25 when Lenning shifted to another gear. In just seven minutes, Lenning and Hambrick eliminated the deficit and clinched the title, 25-17. Jesus Avila entered the 18-and-under singles as the top seed, on the heels of winning the 15-and-under national championship just two weeks ago. Last minute replacement Pedro Murillo defeated Junior WPH Rookies Coach Tanner Cleveland in the opening round, then upset Avila to advance to the final. Carlos Espinoza defeated Kaelen Rae in the bottom semis to advance to the final. 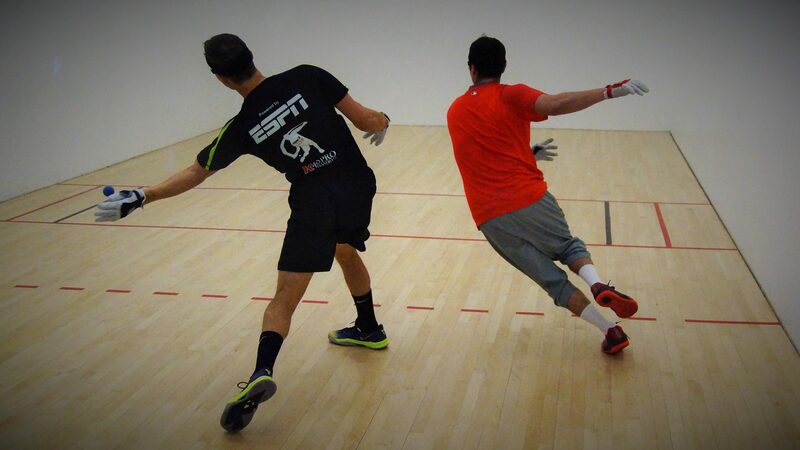 Espinoza controlled the action throughout the final, claiming the championship, 15-5, 15-10. The 15-and-under singles featured an exciting round robin, in which each participant played three back-to-back matches. 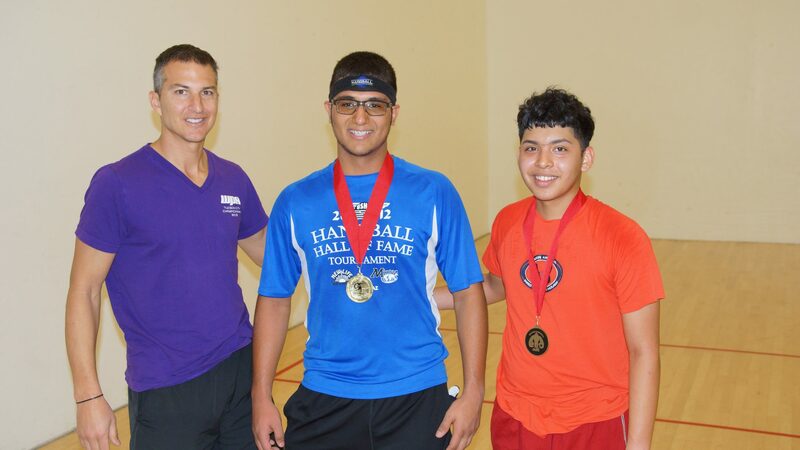 Jorge Pimentel claimed the title by winning all three of his matches, while Noe Rios edged Esteban Camacho in the best match of the junior event for second place. 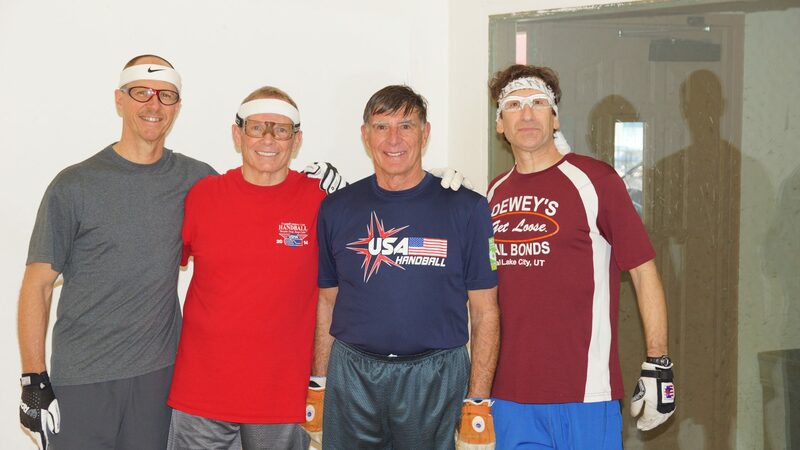 The special 120+ doubles pitted teams of 120 years or more against one another, with teams were facing four grueling rounds of handball in just five hours. Senior Race 4 Eight #2 pro Danny Armijo teamed with multiple-time master’s national champion Vince San Angelo, and appeared to be the heavy favorites. Armijo and San Angelo advanced to the final to face Tucson’s Andy Wills and Benny Young. Wills and Young were too strong for the Hand and Vince, defeating the SR48 standout and San Angelo in two games. Thank you to Brenda Hays and Tricia Fink for running the tournament desk. Thank you to all of the players for participating and donating to the WPH. A special thanks goes to “Team Cleveland,” Scott and Tanner. Scott arranged most of the 120+ doubles and pro-am, while Junior WPH Coach Tanner Cleveland helped tremendously with tournament duties. Tanner was awarded with the No Frills Sportsmanship Award for his tremendous efforts on and off the court.